As the North sees an upsurge in dissident republican attacks, here are some of the most serious incidents to take place since December 2011. On 16 June, police investigating dissident republican activity say they have recovered two suspected pipe bombs in County Tyrone. Three men and a woman admit charges over a dissident republican training camp in County Tyrone. It was found at Fourmil Wood, on the outskirts of Omagh, County Tyrone, in March 2012. Sharon Rafferty, 38, from Cabhan Aluinn, Pomeroy, Sean Kelly, 48, from Duneane Crescent, in Toomebridge and brothers Aidan Coney, 35, from Malabhui Road, Carrickmore and Gavin Joseph Coney, from Gorticashel Road, Omagh will be sentenced at a later date. On 9 June, a man appears at Londonderry Magistrates Court on charges linked to dissident republican activity in the city. Thomas Ashe Mellon, 38, of Rathmore Road, Derry, is charged with membership of a proscribed organisation, namely the IRA, and with directing the activities of the IRA. Two men jailed for the dissident republican murder of policeman Constable Stephen Carroll in Craigavon lose an appeal against their convictions. Five men were arrested after a suspected bomb was discovered by police in County Louth in the Republic of Ireland. Brendan McConville, 42, of Glenholme Avenue in Craigavon, and 22-year-old John Paul Wootton, from Colindale in Lurgan, are serving life sentences. On 25 March, five men are arrested after a suspected bomb was discovered by police in County Louth in the Republic of Ireland. The device was found in Kilcurry, north of Dundalk, near the border with Northern Ireland, as part of an investigation into dissident republican activity. 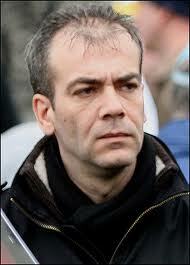 32 County Sovereignty Movement member Gary Donnelly is elected to the new Derry and Strabane super council. 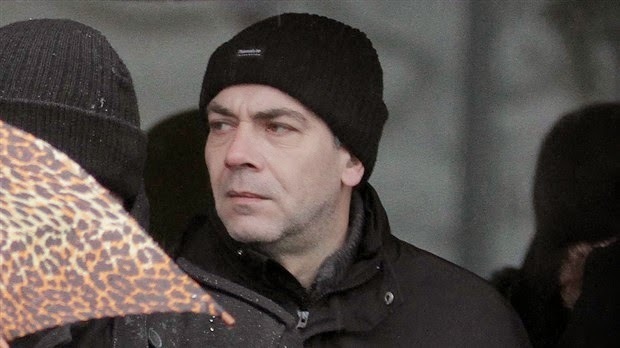 On 8 May, Dissident republican Seamus McLaughlin pleads guilty to charges connected to a foiled mortar bomb attack on a police station in March 2013. He pleaded guilty to having four "ready to deploy" mortars and an improvised explosive incendiary device with intent to endanger life. A substantial amount of explosives are found on 1 May by police investigating dissident republican activity in Northern Ireland. The discovery was made during searches of a flat in the New Lodge area of north Belfast. A 47-year-old man is arrested and later charged over the find. A prominent dissident republican is shot dead in west Belfast on 18 April. Tommy Crossan was shot a number of times at a fuel depot off the Springfield Road. Mr Crossan, 43, was once a senior figure in the Continuity IRA. It is believed he had been expelled from the group some years ago after falling out with other dissidents. On 1 April, dissident republicans are blamed for leaving a viable pipe bomb at Townsend Street in Strabane. Police say that a bomb found at a County Tyrone golf course had the capability to kill or cause serious injury. Bomb disposal experts made the device safe after it was discovered at Strabane Golf Club on 31 March. The operation followed information received by police that a device had been left in the Ballycolman Road area. An undercover surveillance operation is believed to have led to the seizure of an improvised mortar bomb in Belfast on 28 March. Police believe the operation may have foiled an attack. The bomb and a command wire were found in a holdall when police stopped a man at the junction of Shaw's Road and Glen Road in the west of the city. A Belfast man with known dissident republican links died on 28 March a week after he was shot in a Dublin gun attack. Declan Smith, 32, was shot in the face by a lone gunman as he dropped his child at a crèche on Holywell Avenue, Donaghmede. He was wanted by police in Northern Ireland for questioning about the murder of two men in Belfast in 2007. Mr Smith was originally from west Belfast but had moved to live in north Dublin. A bomb explodes inside a car parked at Carrickreagh Gardens in the Creggan area of Londonderry on 26 March. The man who owns the car said he did not believe dissident republicans were responsible. However, SDLP MLA Pat Ramsey said the attack "bears the hallmarks of the dissident group formerly known as Republican Action Against Drugs". On the night of 14 March, dissidents use a command wire to fire a mortar at a police Land Rover on the Falls Road in west Belfast. The device hit the Land Rover, but police said it caused minimal damage. No-one was injured in the attack, but as well as the police patrol, a car containing a Filipino family was caught up in the attack. The dissident group calling itself the New IRA said it carried out the attack and claimed the mortar used contained the military explosive Semtex and a commercial detonator. They claim both were newly acquired - in other words, not from old supplies previously under the control of the Provisional IRA. Earlier that day, an under-car bobby-trap bomb was made safe after being found on Blacks Road in west Belfast. The road was closed and residents had to leave their homes while the device, which is believed to have fallen off a vehicle, was made safe by the Army. Two letter bombs were found at postal sorting offices in Lisburn and Londonderry on 7 March. Both were addressed to the Maghaberry Prison, the largest jail in Northern Ireland. Seven letter bombs delivered to army careers offices in England bear "the hallmarks of Northern Ireland-related terrorism", Downing Street said. The packages were sent to offices in Oxford, Slough, Kent, Brighton, Hampshire and Berkshire. Three men are arrested and "a large sum" of counterfeit money seized on 3 February by police investigating dissident republican activity in Dublin. Four men who were in a car in a which a gun was found are jailed. Mark McGuigan was sentenced to 12 years, Daniel John Turnbull to nine years, Martin McLoone to eight years and Darryn Patrick McCallion to seven years. Each will serve half the term in custody and the rest on licence. During follow-up searches police recovered a sub-machine gun, a hand gun and ammunition from a vehicle belonging to Daniel Turnbull. Police said they believed the weapons were intended to be used in a dissident republican attack. On 9 January, it is announced that more than 1,000 prison service staff in Northern Ireland are to receive special annual danger money payments because of the threat from dissident republicans. An independent pay review body recommended that they should each be paid more than £1,300 a year on top of their normal salary. On 7 January, Old Bailey bomber Marian McGlinchey is given a suspended sentence for aiding dissident republican terrorists. McGlinchey, also known as Marian Price, admitted providing a mobile phone used to claim responsibility for the Real IRA murders of two soldiers at Massereene Army barracks in 2009. She also admitted aiding and abetting the addressing of a meeting to encourage support for terrorism. Shots are reportedly fired at Lisnaskea police station in County Fermanagh on the night of 23 December. Dissident republicans are blamed for the attack. Prominent republican Colin Duffy is one of three men who appear in court in Belfast on 17 December on dissident republican charges. On 16 December a man apparently trying to plant a fire bomb in a golf store in Belfast city centre bursts into flames and runs from the shop with his clothes on fire. On 13 December, a bomb in a sports bag explodes in Belfast's busy Cathedral Quarter. About 1,000 people were affected by the alert, including people out for Christmas dinners, pub-goers and children out to watch Christmas pantos. A telephone warning was made to a newspaper, but police said the bomb exploded about 150 metres away as the area was being cleared. Dissident republican group, Óglaigh na hÉireann, said they were responsible. On 5 December, two police vehicles are struck 10 times by gunfire from assault rifles while travelling along the Crumlin Road, near Brompton Park, in north Belfast. One Kalashnikov-type weapon is recovered after the attack. It is understood those behind the attack built a platform on Herbert Street, from where the shots were fired. On the following night, two shots strike a PSNI Land Rover on patrol on the Suffolk Road between the Stewartstown and Glen Roads in west Belfast. A bomb, containing 60kgs (132lbs) of home-made explosives, partially explodes inside a car in Belfast city centre on 24 November. A masked gang hijacked the car, placed a bomb on board and ordered the driver to take it to a shopping centre. It exploded as Army bomb experts prepared to examine the car left at the entrance to Victoria Square car park. Old Bailey bomber Marian McGlinchey pleads guilty to providing a mobile phone linked to a Real IRA attack in which two soldiers were murdered. McGlinchey, also known as Marian Price, admitted providing property for the purposes of terrorism. The charge was connected to the attack on Massereene Army barracks in 2009. On 21 November, a bus driver is ordered to drive to a police station in Londonderry with a bomb on board. A masked man boarded the bus in Ballymagroarty estate Wednesday and ordered the driver to go to Strand Road police station. The bus driver drove a short distance to Northland Road, got her passengers off the bus and called the police. A former police officer is the target of an under-car booby-trap bomb off the King's Road in east Belfast. The man spotted the device when he checked under his vehicle at Kingsway Park, near Tullycarnet estate on 8 November. The man was about to take his 12-year-old daughter to school. Dissidents are blamed for a number of letter bomb attacks at the end of the month. A package addressed to Secretary of State Theresa Villiers is made safe at Stormont Castle, two letter bombs addressed to senior police officers are intercepted at postal sorting offices, while, a similar device is sent to the offices of the Public Prosecution Service in Londonderry. Five people with alleged links to dissident Irish republicanism appeared in court in Glasgow on 29 October charged with terror offences and conspiracy to murder. On 18 October a "viable explosive device" is found during a security alert in Lurgan. The alert in the Sloan Street area closed two schools, and caused widespread disruption in the County Armagh town. Police said they believe dissident republicans were responsible for planting the device. Kevin Kearney, 46, is found dead in a lake in Alexandra Park, off the Antrim Road, north Belfast, on 9 October. He had been shot dead the previous day. Dissident republicans said they killed Mr Kearney. Four men have been arrested by police following a hoax bomb alert on the M1 motorway on 7 October. The motorway was closed for a time between Belfast and Lisburn after a suspicious object was found on the Kennedy Way off-slip. An appeal court in Lithuania overturns the conviction of a man jailed for attempting to buy weapons for dissident republicans. Michael Campbell was found guilty in October 2011 after an MI5 sting operation in 2008 recorded him attempting to buy explosives and guns. He was originally sentenced to 12 years in prison. The appeal court judge found that prosecutors failed to prove his ties with the Real IRA. A 45-year-old man is charged with possession of a firearm and ammunition in suspicious circumstances. The charges are linked to an investigation into dissident republican terrorism in north Belfast. Guns and ammunition are found in separate searches by police investigating dissident republican activity in Dublin and County Clare in the Republic of Ireland. Footage appears to show a dissident republican gunman firing at police during rioting in the Ardoyne area of north Belfast on 12 July. It shows the gunman firing towards police lines from within a crowd gathered at Brompton Park in Ardoyne. After the last of 17 shots rings out, youths clap and cheer. Irish police make what they say is their biggest ever find of dissident republican arms and explosives. Guns, ammunition and 15kg of Semtex explosive are found on land at the Old Airport Road in Cloghran, north Dublin. The arms include former Provisional IRA weapons, according to police. Eight men appear before two special sittings of the Special Criminal Court in Dublin charged with offences linked to a police operation against dissident republicans in the city. Seven arrested at a house in Tallaght on Wednesday were charged with membership of an unlawful organisation and have been remanded in custody. At a separate sitting of the court a 45-year-old Dublin man was charged with IRA membership and possession of ammunition. On 27 June, a 70-year-old man from west Belfast is sentenced to six and a half years for firearms and explosives offences. Thomas Maguire, of Suffolk Drive, was arrested in August 2011, when police stopped his car following a car chase. Dissident republicans issue a death threat against a woman journalist in Northern Ireland, according to a union. The National Union of Journalists (NUJ) said the PSNI had informed the journalist about the threat. A gun and ammunition are found by police investigating dissident republican activity in Cookstown, County Tyrone on 10 June. Two police officers escape injury after two pipe bombs are thrown at them in north Belfast. The officers were responding to an emergency 999 call in Ballysillan in the early hours of 28 May. They had just got out of their vehicle on the Upper Crumlin Road when the devices were thrown. They took cover as the bombs exploded. On 22 May police recover a gun during searches connected to dissident republican activity in the Short Strand area of east Belfast. A bomb is removed from the Foxes Glen area of west Belfast on 17 May - the scene of a gun attack on police officers the previous day. Up to six shots were fired as three officers got out of their vehicle in the area on Thursday afternoon. No-one was injured. Police investigating dissident republican activity seize contraband cigarettes worth £300,000 in south Armagh. A total of £50,000 in cash was also recovered. Detectives investigating dissident terrorist activity uncover guns and ammunition in Craigavon. The weapons and other items had been hidden on waste ground in the Pinebank area. A 50-year-old woman who shot dead an innocent man in Dublin because she mistakenly believed he was involved in the murder of a Continuity IRA leader is sentenced to life in prison on 10 April. Rose Lynch told police she "executed" David Darcy in November of 2011. Lynch described herself as "an IRA volunteer". On 7 April two men from Derriaghy, County Antrim, are charged with possession of a firearm in suspicious circumstances. The weapon was recovered during a security alert on the Barnfield Road in Lisburn following a police investigation into dissident republican activity. On 1 April, police vehicles have come under attack from youths throwing stones and other missiles at a dissident republican Easter commemoration in Londonderry. Chief Constable Matt Baggott says dissident republican groups are trying to outdo each other. Mr Baggott said the groups are in competition when it comes to the number of attacks they carry out. He said that the "recklessness of their attacks is beyond measure". Police escape injury after a bomb in a bin exploded on the Levin Road in Lurgan on 30 March. Officers were investigating reports of an illegal parade in when the device went off near a primary school. Petrol bombs are thrown at police during follow-up searches in the Kilwilkie area. Police say a bomb meant to kill or injure officers on the outskirts of Belfast on 9 March may have been detonated by mobile telephone. Officers were responding to a call on Duncrue pathway near the M5 motorway when the bomb partially exploded. On 4 March, four live mortar bombs which police said were "primed and ready to go" are intercepted in a van in Londonderry. The van had its roof cut back to allow the mortars to be fired. Police say they believed the target was a police station. It is the first time dissidents have attempted this type of mortar attack. On 2 March, police investigating dissident republican activity charged a 23-year-old man with possessing items likely to be of use to terrorists. It was believed the arrest was linked to a security alert in Larne, County Antrim. On 26 February, the police and Army recover a rocket launcher and a warhead during a search of a house in Hawthorn Street, west Belfast. A PSNI spokesman says the weapons systems were "clearly intended to kill" and the recovery had "saved lives". On 25 February, two Cork men appear before Dublin's Special Criminal Court charged with firearms offences and membership of a paramilitary organisation. Brian Walsh, 43, and Anthony Carroll, 30, were arrested in Togher two days earlier when police stopped a car and recovered two handguns. On 8 February, Irish police find rocket launchers and explosives after they stopped two cars on the N24 in County Tipperary. Garda detectives say they believe the weapons were ultimately destined for Northern Ireland. Three men are arrested at the scene. Two are charged with membership of an unlawful paramilitary organisation while the third man is released without charge. At the end of the month, dissident republicans were blamed for two pipe bomb attacks in north Belfast within the space of 24 hours. On 29 January, the dissident republican group, Oglaigh na hEireann, claimed responsibility for planting a pipe bomb at a community centre on the Shore Road in north Belfast. The following night, a pipe bomb was thrown at a police vehicle at the junction of Oldpark Road and Rosapenna Street. No-one was injured in either incident. On 18 January, postal staff at a Royal Mail sorting office in Strabane, County Tyrone intercepted a suspicious package addressed to a senior police officer. The envelope, addressed to Chief Inspector Andy Lemon, was found to contain a small bomb. During the first week of the new year, a number of media outlets in the Republic report that paramilitaries had publicly issued death threats against Irish people serving in the British Army. 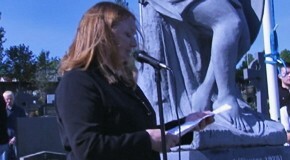 The threats were allegedly read out in a statement on behalf of the Continuity IRA during a republican commemoration in Limerick city on 6 January. Irish police declined to comment. An off-duty policeman found a bomb attached to the underside of his car on the Upper Newtownards Road in east Belfast. The officer found the device during a routine check of his family car on 30 December, as he prepared to take his wife and two children out to lunch. An Irish newspaper reported that a paramilitary plot to murder a British soldier as he returned to the Irish Republic on home leave had been foiled by Irish police. The Irish Independent said the Continuity IRA planned to shoot the soldier when he returned to County Limerick for his Christmas holidays. Four days before Christmas, a 27-year-old man from County Monaghan man was jailed for three years for possession of a car bomb that was left outside Crossmaglen police station in County Armagh. The device had been loaded into a stolen car and left outside the PSNI station on 3 April, 2010, where it failed to detonate. On the first day of the month, a prison officer was shot and killed on the M1 in County Armagh as he drove to work at Maghaberry Prison, Northern Ireland's high security jail. David Black, 52-year-old father of two, was the first prison officer to be murdered in Northern Ireland in almost 20 years. The killing was widely condemned by all main political parties and police said they believed dissident republicans had carried out the attack. On 12 November, a new paramilitary group calling itself "the IRA" claimed responsibility for the murder. The organisation is believed to have been formed during the summer of 2012, from an amalgamation of previously disparate dissident republican organisations. In a statement issued to the Belfast-based newspaper, the Irish News, the group said it had killed him "to protect and defend" republican prisoners. The following day, a bomb was found close to a primary school in west Belfast. Police said the device "could have been an under-car booby trap designed to kill and maim" and added they believed dissident republicans were responsible. Police investigate possible links to drugs and the involvement of dissident republican paramilitaries in the murder of Newtownabbey man, Danny McKay, who is shot dead at his home in the Longlands area on 25 October. A mortar bomb is found at a house in the Ardoyne area of north Belfast on 4 October. Thirty families are moved out of their homes for several hours after police discovered the device at the back of a house in Jamaica Street. A 21-year-old man is later charged with preparing terrorist acts and having explosives with intent to endanger life. On 24 October, the Home Office confirmed the threat level from dissident republicans to Great Britain had been downgraded from "substantial" to "moderate", meaning the authorities regarded an attack as possible, but not likely. However, on the same day the Home Office said the threat level in Northern Ireland remained "severe" with an attack by dissident republicans still regarded as highly likely. On 27 September, police in Dublin investigating dissident republican activity arrested two men after surveillance equipment was found in a hotel room overlooking a police station. It was believed the equipment was being used to record car registration plates and identify officers involved in operations against dissident activity. Craigavon man Ciaran Martin Collins, 35, from Drumbeg, was charged with having a semi-automatic pistol in suspicious circumstances after being arrested in a car in Lurgan. Two other men were released pending reports to the Public Prosecution Service. Security forces were the target of two bombs left in Londonderry on 20 September. A pipe bomb and booby trap bomb on a timer were both made safe by the Army. The pipe bomb was left in a holdall at Derry City Council's office grounds and the booby trap attached to a bicycle chained to railings on a walkway at the back of the offices. Dissident republicans were blamed for leaving the bombs. On 12 September, a 52-year-old man appeared in court charged with having guns and ammunition. Paul McDaid, of Sheridan Street, Belfast, was arrested after police stopped and searched a car on the A1 near Hillsborough. Leading Real IRA man Alan Ryan, 32, was shot dead in the Clongriffin area of Dublin on 3 September. In 2000, Ryan had been jailed over the discovery of a Real IRA training camp at Stamullen, County Meath. The Dubliner was said to be "very well known in criminal and republican circles both north and south of the border". Three men were subsequently charged over paramilitary displays at his funeral. Eleven republicans, including prominent Lurgan dissident Colin Duffy, were convicted of wrecking their cells at Maghaberry Prison. Each was given a 20-month suspended sentence for causing criminal damage in the jail's Roe House wing. On 31 August, two men appeared in court charged with firearms offences in relation to dissident republican activity in Newtownabbey. Searches were carried out on Belfast's Glen Road after dissidents claimed they had fired a mortar bomb at police. At the start of the month, police searched the Glen Road in west Belfast after dissident republicans claimed they fired a mortar at a police vehicle. The attack was claimed to have taken place at the same time as a gun attack on a police patrol on Friday 27 July. Although the gun attack did take place, police found no trace of any mortar and declared their search over on 3 August. On 26 July, some dissident republican paramilitary groups issued a statement saying they were to come together under the banner of the IRA. The Guardian newspaper said the Real IRA had been joined by Republican Action Against Drugs (RAAD) and a coalition of independent armed republican groups and individuals. However, police say the threat posed by dissident republicans has not been changed since the announcement was made. A gunman fired towards police lines from within a crowd gathered at Brompton Park in Ardoyne on 12 July. After the last of 17 shots rings out, youths clapped and cheered. No-one was injured. Scuffles broke out after dissident republican protesters blocked the Olympic Torch's planned route near the Guildhall in Londonderry on 4 June. It was forced to go a different way in order to reach the Peace Bridge. Two men later appeared in court over the trouble. Republican Action Against Drugs said it was behind a bomb attack on a police vehicle in Londonderry on 2 June. The front of the jeep was badly damaged in what is understood to have been a pipe bomb attack in Creggan. The police described the attack as attempted murder. Four people appeared in court on 19 May on charges linked to an alleged terrorist training camp in County Tyrone. They were Sharon Rafferty, from Cavana Linn in Pomeroy, Sean Kelly from Duneane Crescent in Toomebridge, Terence Aidan Coney, of Malabhui Road in Omagh and Gavin Coney from Gorticashel Road, also in Omagh. The court was told that approximately 200 rounds were heard being fired at the Formil Wood site on Gorticashel Road on 30 March, 2012. Bullet casings had also been recovered from the area. On 19 May three relatives of prominent Lurgan dissident republican Colin Duffy appeared in court in Lisburn charged with terrorism offences. They were Paul John Duffy, 47, from Ailsbury Gardens, Damien Duffy, 42, from Campbell Walk, and Shane Duffy, 41, from Kilwilkie Road. The charges included collecting information likely to be of use to terrorists, conspiracy to murder, and conspiring to cause an explosion. A number of guns found in north Belfast on 15 May were believed to be linked to dissident republicans, police said. They were found at Etna Drive in the Ardoyne area. Police say the find "undoubtedly thwarted attempts of these criminals to inflict death, injury and misery on the community of north Belfast". On 30 April it emerged that five men had fled Londonderry over the course of a week after being threatened by the vigilante group, Republican Action Against Drugs. A bomb was found under a parked car in a garage on the Ballygomartin Road in north Belfast on 28 April. Police said "the finger of suspicion points towards dissident republican terrorists". A pipe bomb was left under a car belonging to the elderly parents of a police officer in Londonderry on 15 April. A number of homes were evacuated while Army bomb experts dealt with the device at Drumleck Drive in Shantallow. The serving PSNI officer does not live in the house. A fully primed 600lb bomb was found in a van on the Fathom Line near Newry on 26 April and made safe the following day. A senior police officer said those who left it had a "destructive, murderous intent". Assistant Chief Constable Alastair Finlay said it was as "big a device as we have seen for a long time". A paramilitary-style shooting in Londonderry was deliberately timed ahead of a rally against a dissident republican group, one of its organisers has claimed. An 18-year-old man was shot in both legs at Rinmore Drive in Creggan shortly after 22:00 BST on 26 April. On 30 March two men were convicted of murdering police officer Constable Stephen Carroll in Craigavon in March 2009. The 48-year-old officer was shot dead after he and colleagues responded to a 999 call. Convicted of the murder were Brendan McConville, 40, of Glenholme Avenue, Craigavon, and John Paul Wootton, 20, of Collindale, Lurgan. Two men arrested after an Irish police raid on a suspected dissident republican bomb factory were found guilty of possessing explosive substances on 24 February. Conan Murphy, 25, from Dundalk, and Philip McKevitt, 58, from Aghaboys, Louth, were arrested in Dundalk in May 2010..
On 16 February police in the Irish Republic recovered a handgun and three improvised explosive devices. The items were found near Celbridge, County Kildare, on Thursday during ongoing investigations into the activities of dissident republicans. Londonderry man Andrew Allen was shot dead in Buncrana, County Donegal, on 9 February. The 24-year-old father of two was shot at a house in Links View Park, Lisfannon. Republican Action Against Drugs (RAAD) later admitted it murdered Mr Allen who had been forced to leave his home city the previous year. On 9 February a 43-year-old Londonderry man admitted a car bomb attack at the city's Strand Road PSNI Station. No-one was injured in the August 2010 bombing, claimed by dissident republicans Oglaigh na hEireann, but several businesses were badly damaged. Philip O'Donnell, of Baldrick Crescent, pleaded guilty to causing an explosion likely to endanger life. He also admitted hijacking the taxi containing the 200lb device and falsely imprisoning the taxi driver. Strabane man Martin Kelly was jailed for life by the Special Criminal Court in Dublin on 24 January for the murder of a man in County Donegal. Andrew Burns, 27, from Strabane, was shot twice in the back in February 2008 in a church car park. The murder was linked to the dissident republican group, Oglaigh na hEireann. Kelly, from Barrack Steet, was also sentenced to eight years in prison for possession of a firearm. On 20 January, Brian Shivers was convicted of the murders of Sappers Patrick Azimkar and Mark Quinsey at Massereene Barracks in March 2009. His co-accused Colin Duffy was acquitted. Police in Londonderry believed dissident republicans were responsible for two bomb attacks on 19 January. The bombs exploded at the tourist centre on Foyle Street and on Strand Road, close to the DHSS office, within 10 minutes of each other. Homes and businesses in the city were evacuated and no-one was injured. A Scottish soldier found a bomb inside his car outside his girlfriend's house in the Ligoniel area of north Belfast. The soldier found the device while cleaning the car before going to pick up a child from school on 5 January. It is understood the device contained a trip wire attached to the seat belt. Police say if the bomb had gone off the soldier, and others in the vicinity, could have been killed. Dissidents admit they carried out the attack. A 59-year-old man was charged with possession of firearms and explosives in suspicious circumstances. He was arrested in County Fermanagh on 19 December. Republican protesters smeared excrement on the doors and windows of the Alliance Party headquarters in south Belfast. Earlier in the year members of the Republican Network for Unity occupied the building in support of dissident prisoners at Maghaberry. Northern Ireland Minister Hugo Swire warned about the possibility of dissident groups using upcoming centenaries for their own purposes. He says Stormont must take the lead to ensure those who sought to undermine the political process were not able to do so.